The iPoker network, as well as PartyPoker and Bwin are one of the leading online poker sites today. The iPoker network has nearly 20 different skins and it is by far the largest network in the world. 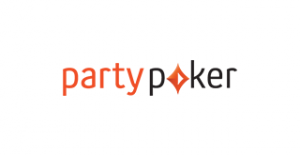 PartyPoker is one of the oldest providers in the market, which has joined forces with Bwin a few years ago. We took a closer look to find out who’s is better. Starting with the rakeback, the number of players, the promotion offered and the customer service, we examined everything closely. The result may surprise some of you a bit. When it comes to rakeback, the decision is very simple, but of course we would like to explain everything in details. 4 years ago, someone at iPoker had the idea to include the so-called SBR rake model. Rakeback deals of 70-100%, which was standard at iPoker, suddenly disappeared from the market. But that would be also without SBR possible. Does he win money from other regulars or from usual hobby players? If a player generates 100$ rake/fees today, iPoker guarantees that a minimum of 50% of the actual generated rake is counted. That means for usual good players, iPoker counts only 50-60$. With a 60% rakeback deal, the players will receive not 60$ rakeback as in the past, but will receive only 30-36$. Only if a player is playing multi table tournaments will 100% of the rake is counted. Now let’s have a look at PartyPoker and Bwin. Here, a 1$ Rake/Fee means 1$. You will also get up to 40% weekly rakeback from both sites. Real high rollers get even 50-60%. But let’s stick to the normal rakeback offer. Of course, a weekly payout is very nice for all players and there will be another 10-15% extra rakeback on YourPokerDream. Conclusion: PartyPoker and Bwin are much better if we talk about rakeback. Let’s start with the cash game traffic and the data from pokerscout. PartPoker/Bwin has a 24h average of 1,500 players, while the iPoker network has only 700 players. Party and Bwin have more than double action at the cash game tables and you can also find good actions on the big high roller tables. Also in the tournament poker area, PartyPoker is clearly ahead, but iPoker is very strong in this area as well, especially regarding SNG tournaments – iPoker is absolutely equal. In terms of MTT tournaments, you can find very interesting tournaments every day at iPoker with a guaranteed prize money. If you compare it to the MTT tournaments which offer Party/Bwin, there is still a big difference. Conclusion: All in all, Party/Bwin is clearly ahead of the iPoker network. If we talk about the software both are very good and there is no big difference. There have been many improvements over the years and there is a mobile version and of course, the normal desktop version for Windows or Mac. You can easily play several tables at the same time and everything runs smoothly. Conclusion: On software, both of them are on the same level. The modern day poker room offers normal email support, a live chat, and a telephone customer service. However, the quality is very different when we talking about support. 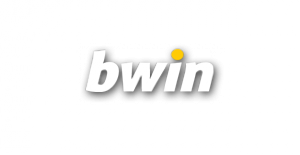 The support at Party as well as Bwin is very solid and can help with almost any concern quickly. The support feature is a big case with iPoker only. With the smaller iPoker skins, the support is mostly a disaster and you can notice that the most providers in this area want to save money. Conclusion: Party/Bwin is much better. Beim Cash Game nimmt sich das nicht so viel und die Anbieter sind sich da relativ gleich. Gerade aber bei den Sit&Go Turnieren und MTT nehmen PartyPoker und Bwin einfach viel weniger, was dem Spieler sehr entgegen kommt. Fazit: Auch hier liegt wieder Party/Bwin vorne. You cannot see a big difference concerning payments and withdrawals. The payment method and also the withdraw time – especially with the E-Wallets- are processed usually within 24h. Conclusion: They are both identical! In this area, both are really very different from the type of promotions. At iPoker, it depends a lot on which skin you play with. Overall, there are certainly some promotions that are more interesting at iPoker and others at Party/Bwin. Of course, that also depends on which game type and limit you play. So if we sum up and evaluate all the areas, we’ve noticed that Party/Bwin is never anywhere worse than the iPoker network. Nevertheless there is a tie in different areas. So we have to say that Party/Bwin has a clear lead and there’s no real argument why anyone should play at iPoker. That means not that you can not play at iPoker, maybe there are some little things you like at iPoker and then of course you will find also enough action and a good deal at iPoker. No player account at PartyPoker/Bwin or the iPoker network yet? Benefit from many exclusive benefits when signing up at one of our partner sites via YourPokerDream. There are no disadvantages for you but only advantages in the form of extra rakeback, tournaments, promotions and much more. Attention: If you have an existing player account, please contact our support as we may be able to track this player account retrospectively, so that you can enjoy the exclusive benefits of YourPokerDream and receive extra rakeback.